While many out at sea have claimed different sightings, nobody has been able to capture a mermaid on camera until recent years. The mythological creature has eluded and captivated peoples interests, throughout the ages. The mermaid has been regarded as both a blessing and abomination to weary travelers around the world. Many tales about them, have had mixed reactions. Some stories, paint the picture of them as something destructive—meanwhile other stories say they have saved fisherman and travelers out at sea. Perhaps they are merely guardians of the ocean. After all, the Earth’s surface is made up of 71% water. This includes water existing in the air as water vapor, water being in rivers, lakes and streams as well as in icecaps and glaciers. People are made up of around 60% water. There are some organisms, that have upwards of 90% of their body weight made up from water. With this knowledge, it isn’t so far fetched to think that mermaids could actually exist. One theory of evolution, has mankind originating from the water, once as sea life. So, what if mermaids were in actuality, some sort of transitional half-human, half-fish type of a creature. The legendary aquatic creature, has been painted and described as a human female who has the tail of a fish and upper body of a woman. Equally so, there are the merman as well—being that of half-man and half-fish. Mermaids have since become a part of folklore. In many different cultures, they have appeared in parts of Europe, Africa and Asia. One of the very first stories originated with the goddess Atargatis—who transformed herself into a mermaid, out of shame for accidentally killing her human lover. More often, mermaids have been associated with tragedies including drownings, shipwrecks, floods and storms. Other accounts of mermaids mention explorer Christopher Columbus seeing mermaids while exploring the Caribbean. Other sightings were reported during the 20th and 21st centuries which includes Canada, Israel and Zimbabwe. 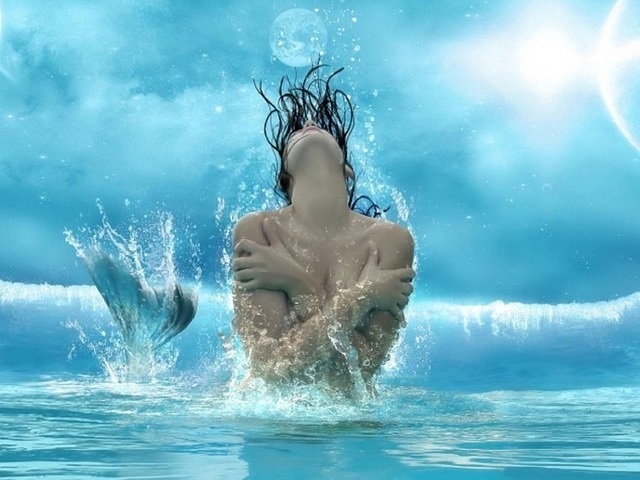 There have been men who have fallen in love with mermaids. They have been lured out to sea by their songs and charm. The U.S. National Ocean Service stated back in 2012, no evidence of mermaids has ever been found yet. 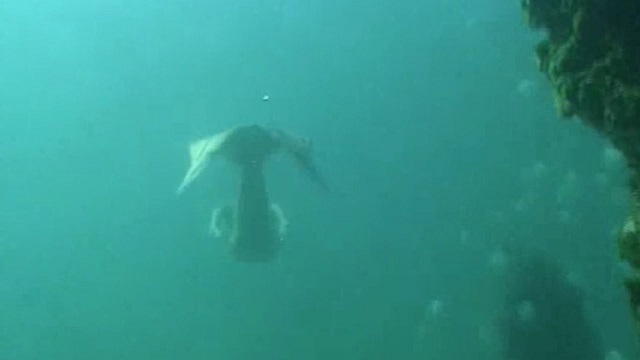 The video recorded showing this claimed mermaid took place in the Great Barrier Reef, off the coast of Queensland in northeastern Australia. The Great Barrier Reef itself, reaches well over 2,300 km long and is technically the largest living thing on planet Earth. It is even visible from outer space. The reef here consists of 600 different types of soft and hard coral. Many different species of fish flourish here including mollusks, starfish, turtles, dolphins and sharks among others. It is here, that this man claims this video footage is genuine and was recorded about 6 feet under water, showing a swimming mermaid creature. Since it was first uploaded on June 7, 2009 people have been scratching their heads over this. His YouTube channel is Marginal Media. Previous Article← SHOCKING CLAIM MADE BY RESEARCHERS: HUMANS DID NOT EVOLVE ON EARTH!